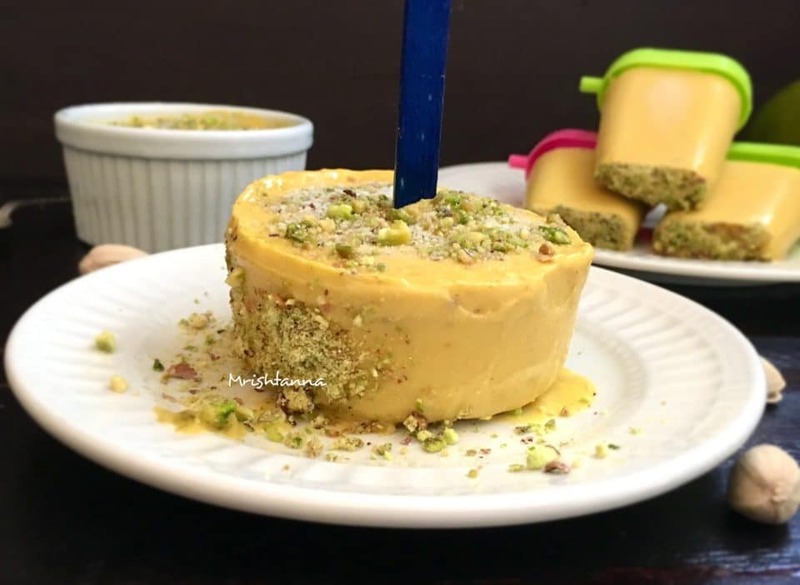 vegan Mango Kulfi – Indian Best Ice Cream Recipe! 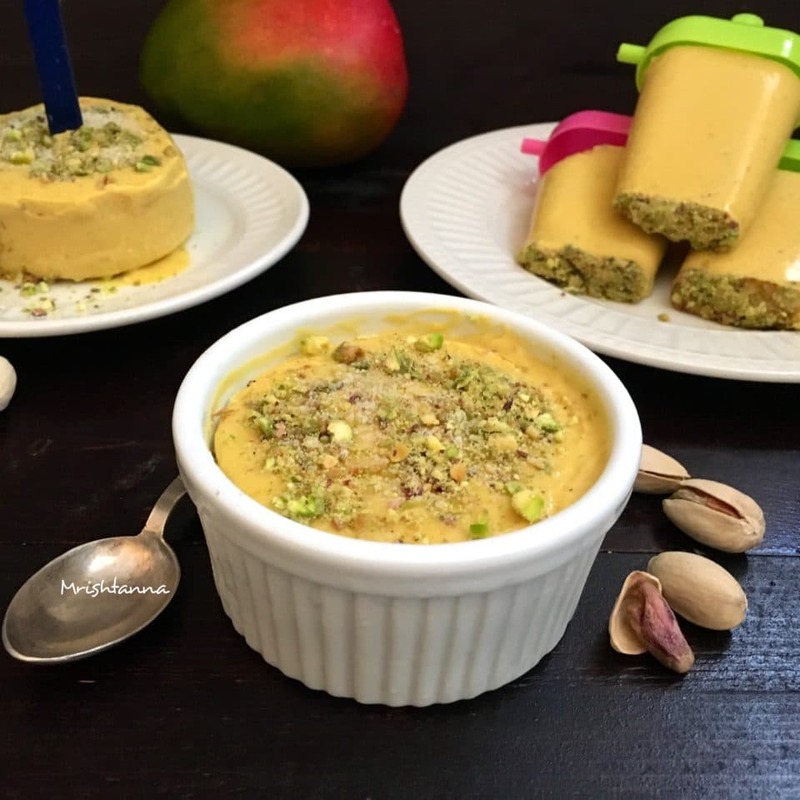 Recipe For Best Mango Ice Cream Ever – Vegan Mango Kulfi.Â Ice Cream saves the day yet again! Not just any ice cream, but an Indian style Kulfi that is handcrafted with gourmet nuts! What kind of desserts do you like to prepare for your guests or family? Sometimes none of the dessert ideas seem appealing. Thatâ€™s when you should opt for the safest choice and the king of summer treats…Ice Cream! 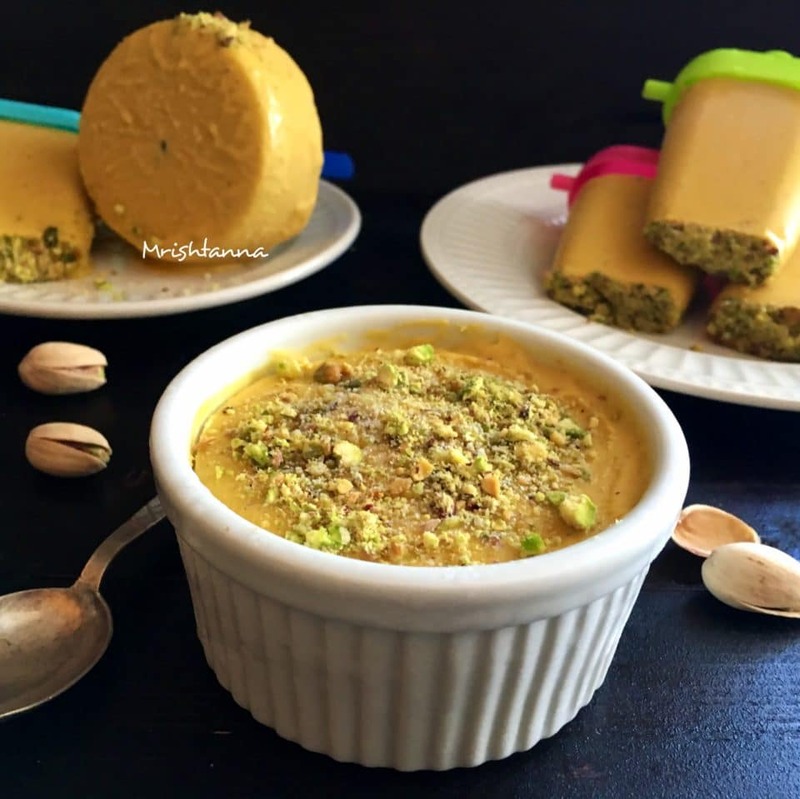 The best part about my Kulfi is that is 100% vegan, unlike any other Kulfi recipe. Ever since I posted Protein Fudge Pops, I had received several requests for similar recipes. Although not same as fudge pops, Indian Kulfi is a frozen dairy dessert. Although it is compared to ice cream, it is a lot more dense and creamier than ice cream. Kulfi can be prepared in almost any fruit flavor you can imagine, but summer is by far the best season for mangoes. Not to mention, it is my favorite fruit too 🙂 So, Mango Kulfi was a natural choice. I had a couple of challenges with this recipe. One was to get a creamy texture without dairy ingredients. I overcame this challenge with coconut cream. You could also try the almond-cashew cream that I had posted in the past and it tastes good too. 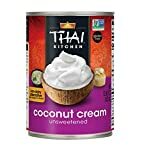 I tried every other dairy alternative and none of them come close to what coconut or almond-cashew cream offer. The second challenge was getting Alphonso mangoes. Alphonso mangoes are probably the best-suited variety for frozen treats, but I could not buy any fresh ones. So I used Alphonso Mango pulp instead. Check out my video for step by directions! Â If you like it, please leave a comment here or on my Facebook page. 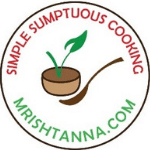 If you prefer getting my recipes directly in your inbox, just hit the subscribe button at the rightâ€¦. Cut the Mangoes into cubes and blend with maple syrup, Almond powder (I prefer blending raw almonds) and coconut milk to a smooth consistency. In a big bowl, add coconut cream, cardamom powder and mango pulp to the blended mixture and whisk it evenly. Sprinkle a few crumbled pistachios in popsicle molds and pour the mixture. Indian Mango Kulfi is ready! Enjoy!